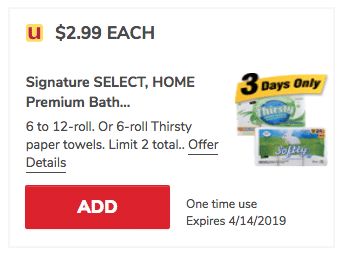 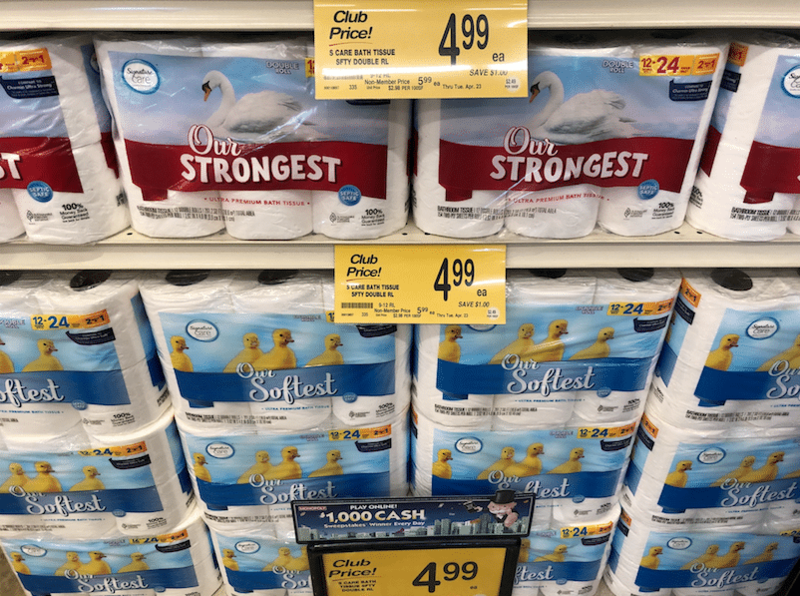 Safeway has a fantastic price on toilet paper and paper towels this weekend only – pick up the Signature SELECT Home Premium Bath Tissue and Paper Towels for just $2.99 each with a new digital coupon. 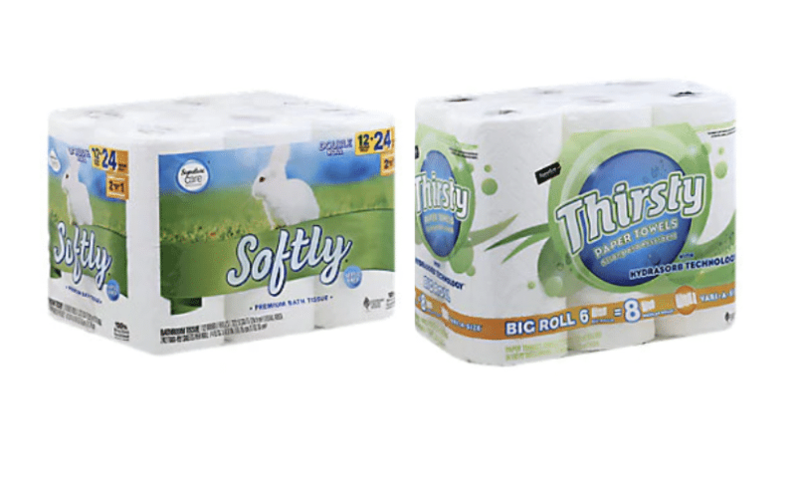 These products are comparable to Charmin and Bounty- so this is truly a fantastic deal! 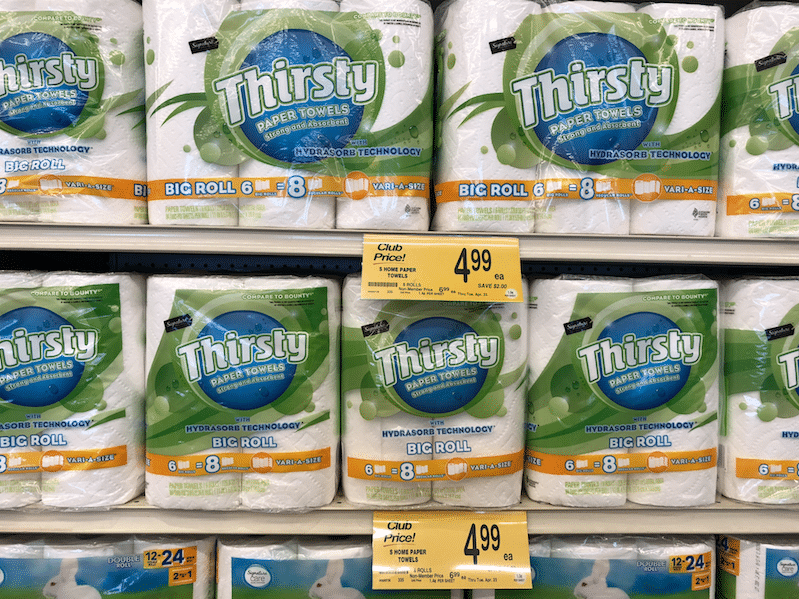 There is a limit of 2 – so either one of each, or 2 of one, and even if you don’t need toilet paper or paper towels at this time, this is such a fantastic deal that you should stock up anyway!